The tower at the top of the Grand Cathedral. 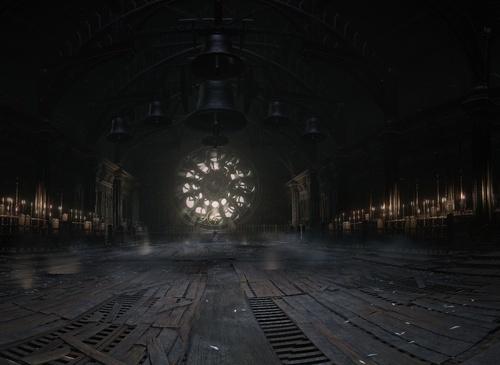 The caretaker of the tower's numerous patients, known to them only as Lady Maria, made her home behind the giant star-interpreting clock. Key to the Astral Clocktower at the top of the Grand Cathedral. Hunter weapon wielded by Lady Maria of the Astral Clocktower. frowned upon blood blades, despite being a distant relative of the queen. into a dark well when she could stomach its presence no longer.